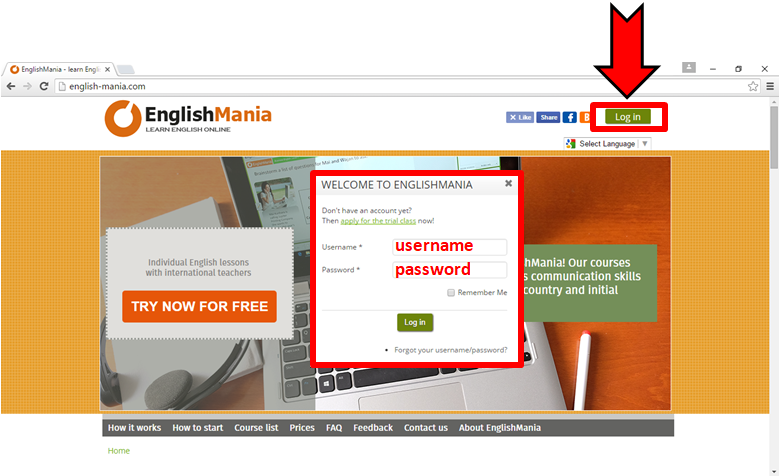 Click the "Log in" button and enter your username/password. This item is available in the user's menu at the top right. Use the calendar section for the day selection. 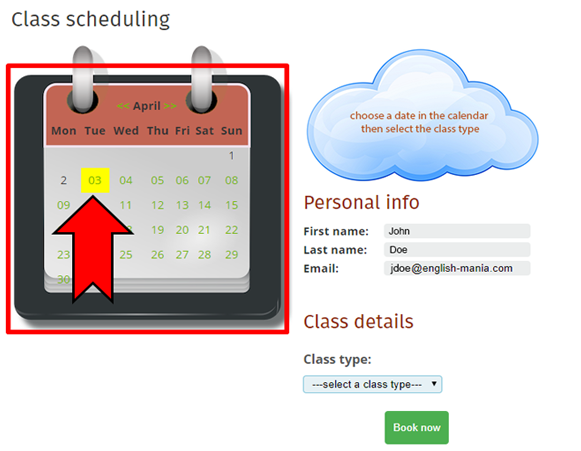 In case of “No available time slots!” message, try choosing a different date. and click the "Book" button. - you are in Singapore and you want to schedule your class for 22:00 (Singapore time). - The timezone of Singapore is GMT+8. The system will display the successful reservation message and will email you the reservation confirmation. IMPORTANT! Do not miss your class! 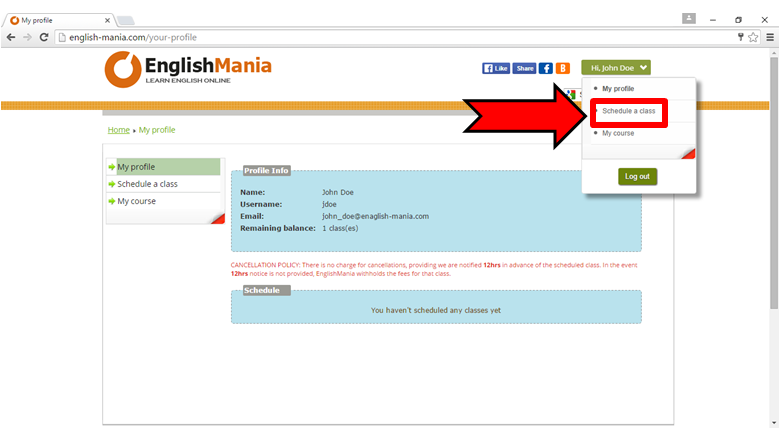 If due to any reason you are not planning to attend your class, please cancel it using your EnglishMania profile page.